Invigorate your home decor with this fun table lamp that features a dazzling crystal jewel accent and a bright teal blue shade. Brighten your home with this fun table lamp. Featuring a stylish decorative crystal jewel on the base and a teal blue lamp shade, this design makes it easy to add a little cheer to your favorite tables and desks. Be bright and well. 18" high overall. Rectangular shade is 8" wide x 6" deep x 7" high. Takes one 60 watt standard base bulb (not included). On-off rocker switch on the cord. Small table lamp size with a big luxe look, from 360 Lighting. Square crystal accent on the lamp pole, clear crystal base. Teal blue rectangular box shade. I love the color and design, can change the color if I want. My daughter needs a lamp for her dorm room desk. 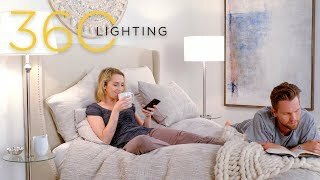 This lamp appears to be the same color as her comforter and other bedding. Wanted a modern teal colored table lamp to match my couch. With a clear white bulb, what is color on the shade? Teal blue or yellowish tint? BEST ANSWER: It glows a beautiful teal blue. And when the sun shines on the crystal it makes awesome rainbow colors on the walls. I love it ! The color is the same as what's on the shade - teal blue - beautiful lamp! Do you sell these lamp shades? Great in store service. Staff knowledgeable. Could not have been more perfect - these lamps bring color and a bit of elegance!! Love the lamp - teal shade is gorgeous and looks great! No issue with shipment - arrived as planned. Highly recommend the lamp - the shade is beautiful and the crystal glass is of heavier quality. I use it in my office and love the lighting provided. Lamp has a lot of cachet. Compact and elegamt. Classy, modern, cute, soothing light. I bought two for my guest room, such a lovely small lamp. No one will be disappointed to have it.